The Breguet brand is held in high regard in the world of horology because its founder, Abraham-Louis Breguet, has set the bar for fine watchmaking exceptionally high. Founded in 1775, Breguet is credited with multiple industry breakthroughs, which include the successful development of self-winding perpétuelle watches, the introduction of gongs for repeating watches, and the first shock protection for balance pivots. 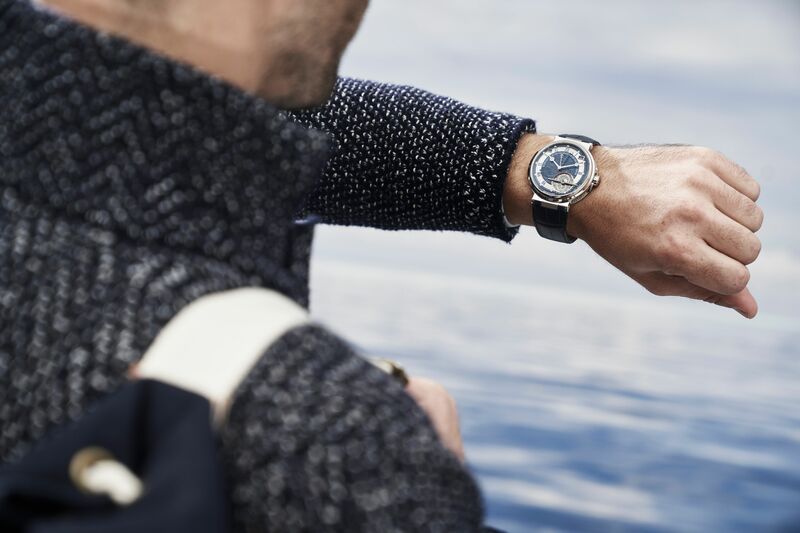 Through Abraham-Louis Breguet’s deep understanding of the field of horology – with a special interest in marine chronometry – it comes as no surprise that the watch brand’s popularity lies in its special relationship with the open seas. His expertise resulted in his appointment by King Louis XVII of France in 1815 as the chronometer-maker to the French royal navy. In addition, the reliability of his naval clocks proved to be instrumental and indispensible to the success of royal expeditions. After his death, his legacy lived on, particularly in 1840 where a Breguet instrument became the first timepiece to reach the Antarctic during the Jules Dumont d’Urville expedition. Today, the spirit of exploration runs deeper than ever through Breguet, making it the perfect companion when traveling and discovering what the world has to offer. This is especially evident in the La Marine collection, which is not only stylish, it also inspires the modern explorer to go above and beyond; a fitting tribute to the maritime timekeepers that came before it. To further infuse the collection with a dose of toughness and luxury, it is now available with a titanium case, which is a material that is noticeably lighter and resistant to the damaging effects of salty air. A standout timepiece from the collection is the Marine Équation Marchante, which was launched in 2017. It is a beautiful juxtaposition of impressive complications and dynamic aesthetic, ushering in a new generation of Marine timepieces. 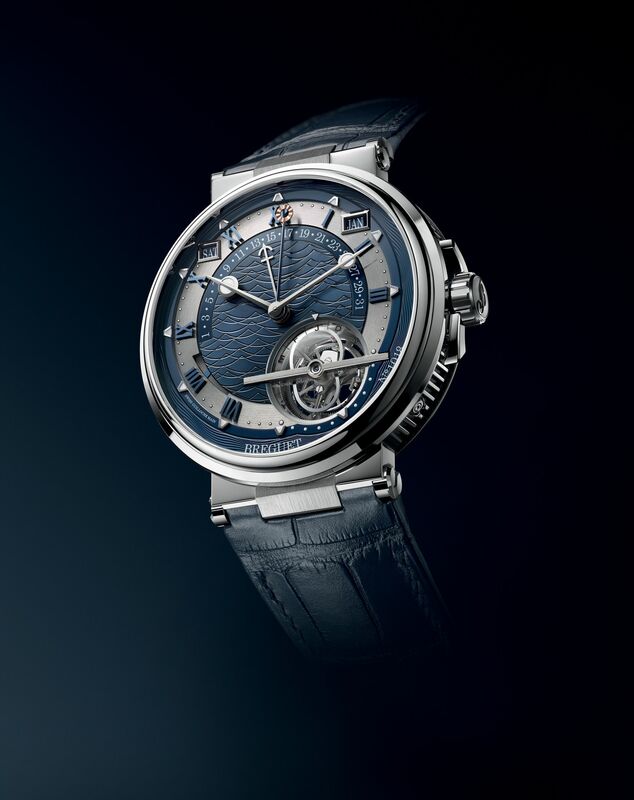 In 2018, what followed were various models that were highly inspired by the nautical world as well, as exhibited in the distinct wave-shaped guards that frame the crown and adorned with the Breguet initial. These timepieces include the Marine 5517, characterized by the date at 3 o’clock and housed in an hours chapter with Roman numerals. Meanwhile, the Chronographe 5527 features a central chronograph hand and two distinct subdials at 3 and 6 o’clock, and finally, the Marine Alarme Musicale 5547, which displays a second time zone and the date. Breguet, together with Race for Water, a foundation that aims to preserve water, have teamed up to work on solutions that address the growing problem of plastic pollution. 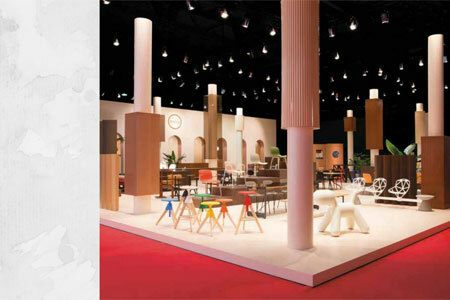 What resulted is “Odyssey 2017-2021”, a five-year program that sees Breguet as the main sponsor. Through this mission for the oceans, Breguet is committed in supporting the Race for Water pioneering vessel as it sails around the world, raising awareness among decision-makers and the general public, as well as educating younger generations, on the importance of the ocean and the threat it faces with the excessive use of plastic and the waste that comes along with it. With this platform, both parties are able to get the conversation going on innovative solutions that can be adopted before plastic waste enters the marine environment. 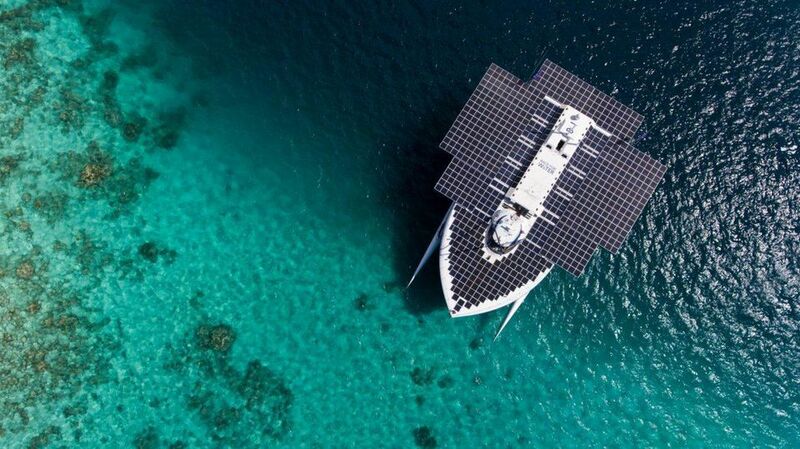 What’s more, the Race for Water vessel – which is powered by a mix of solar, hydrogen, and kite energies – traveled around the world in 2018, making stops in several islands and coastal cities, demonstrating the power of clean energy. In total, the vessel visited nine countries in total, spreading the word to over 3,200 children and 8,500 official guests.